People are always giving personal theories about allergies. Allergies are not the same as intolerance. Ninety percent of time, children outgrow their allergies. Allergy is a medical condition, and should be treated. Allergies have been rising across the world and there are more people talking about it than there were a decade ago. But, as more and more people are talking about it, there are also several myths around the subject that are spreading just as fast as the medical condition itself. 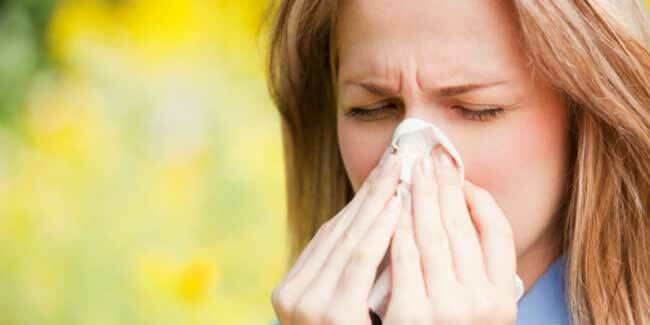 So, here we are debunking myths surrounding allergies. Fact: The link between allergies and childhood infections has been popularly accepted. However, the idea that fewer childhood infections may cause more allergies in adulthood can now be discounted. While exposure to a range of microbes during the formative years has been said to improve the immune system, there is no evidence to support that infections that are regular are needed to boost the general immunity towards infections in adults. Fact: The microbes in and outside our bodies have changed over the years. And this is not because of the obsession with cleanliness, but because people-to-people interaction has diminished. Our environment has become less diverse when it comes to the type of microbe that exists in it. Fact: Food allergies are not same as but similar to intolerance or insensitivity as they all belong to the same family of reactions to food. Allergy happens when the immune system reacts to a particular food. Allergy symptoms can be milk and rarely, life-threatening. Food intolerance refers to the absence of a certain enzyme that you need to digest a certain type of food. Food sensitivity is something that you feel when you have had too much of something, say chocolate. Fact: This is one of the most common allergy myths. Research has proven that nearly 90 to 95 percent of children outgrow dairy, wheat, egg and soy allergies. This outgrowth may happen as soon as these kids start school. However, it has been observed to take longer for children to outgrow allergies now. So, in the current phase of things, children may take up to 16 years of age to become allergy-free. Fact: If a person is allergic to food, excessive consumption of it can cause serious complications. It does not have to be peanuts to cause life-threatening complications.